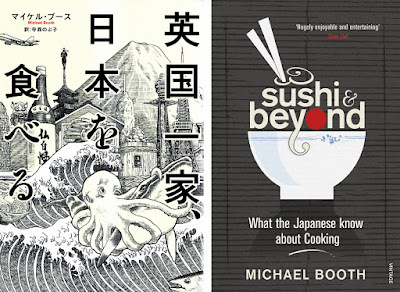 Michael Booth is a food and travel writer who unexpectedly became a cultural phenomenon in Japan, by writing about Japanese food when traveling the length of the country with his young family. 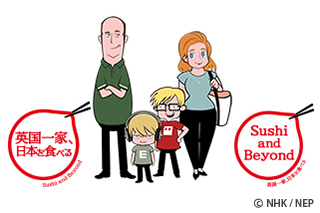 Surprisingly the Japanese were so fascinated with Michael that they turned his book 'Sushi and Beyond' into a anime TV show (who would have thought the Japeneese would be such big fan's of Britiain's dry sense of humour?). 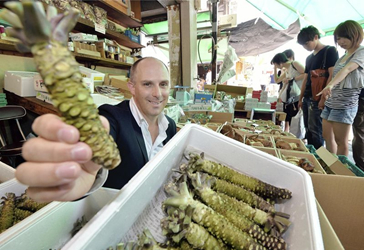 You described Japan as your favourite country – what do you love most about the country (other than food)? What hooked me from the start was that, even just walking down the street for a few yards, I would always find something to arrest my attention. Everything is different, Japanese solutions are fascinating. Plus, having travelled in some not so pleasant places, going to a country where no one is trying to steal from you or cheat you is wonderful. On a basic level, it is clean and safe and everything functions amazingly well, but Japan has everything else - the greatest cities in the world, mountains, gorgeous beaches, nature etc. And then you discover how genuinely kind the Japanese are, and how generous they are as hosts. And they have a great sense of humour. Why did you decide to write “Sushi and Beyond” - why Japan? I had spent three years living and eating in Paris, where I had moved with my family to train to become a chef for another book, Sacré Cordon Bleu. Frankly, I was a little fat, and when a friend presented me with a book, Japanese Cooking: A Simple Art, by Shizuo Tsuji, I 'discovered' a traditional cuisine which seemed incredibly modern: low fat, lots of fish and vegetables, not so much cooking, little meat, no dairy, less sugar, and so on. It seemed to be the opposite of the classical French food I had been learning about and eating, and that really appealed. 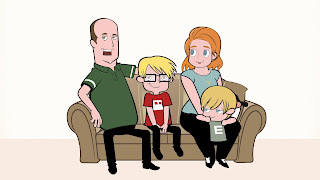 Why did you decide to take your family along on your adventure? When you travel with kids, you see places differently, you interact with people differently. It gives another perspective to your travels. Plus I quite like my family, so don't like to be away from them for too long. That's tricky (and expensive) with the kind of immersive books I write. Like all kids, they baulk at new foods sometimes, but we have 'try everything once' policy, which they have been brilliant at (I admit, I did risk their trust when I got them to try fermented squid guts one time). They actually love Japan and Japanese food. They always want to go back to Japan. Any plans to release a similar book focusing on another country? I did a similar-isn book on India a few years ago, Eat, Pray, Eat. My latest book, however, has nothing about food in it: The Almost Nearly Perfect People: The Truth About the Nordic Miracle - it's a kind of popular anthropology/travel book about Scandinavia, where I now live. We heard your family’s foodie tour of Japan has become an anime film and manga comic – how did you first react when you heard the news? 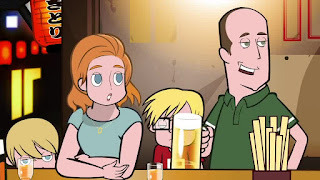 Are you happy with how you look/sound in cartoon form? How does your wife/children feel about it? 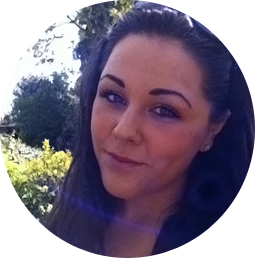 As a writer and journalist, I often get approached by TV people and usually the projects come to nothing. But in this case, two executives from NHK actually came to my home in Denmark to talk about this project. That was when I realised they were serious! I was still skeptical but then I saw their initial drawings and they really made me laugh. My family had the same reaction and now, as we are seeing the episodes, we love it more and more. 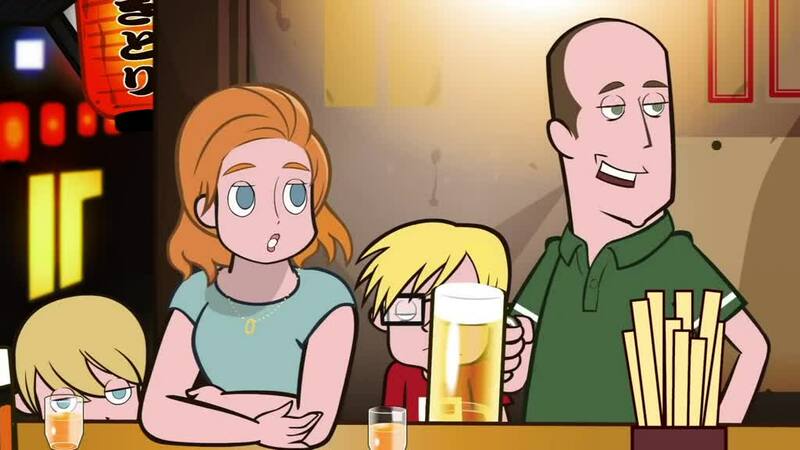 It is a deeply surreal turn of events, to be turned into a cartoon, but what I love most about the series is that they have turned the volume up on the fantasy aspect. It's bonkers. My children love it. I think they are very proud but also a little bewildered. My wife is the only one who isn't so crazy about it: her character has been rather 'toned down'. Since writing your book do you believe Japanese cuisine is gaining popularity? True, we've had ramen and sushi, and also Japanese whisky is having a moment, but there is such huge potential for many more types of Japanese food and drink to conquer the world. Udon, soba, okonimiyaki, kushikatsu, tako yaki, yakitori, shabu shabu, wagashi, mochi, yuba, tofu - the list is endless. Plus, of course, sake, the many types of tea and shochu. 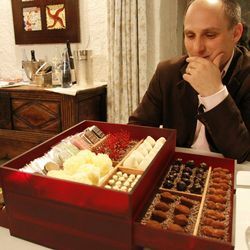 Out of all the dining experiences you wrote about, which one was your most memorable? Is there anything you wouldn't eat again? 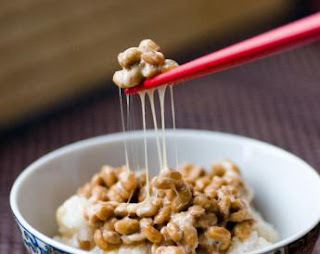 I keep trying to acquire a taste for natto, but I'm not there yet. Ground yam is something I try and avoid too - those kind of snotty-textured foods are a bit of a challenge. 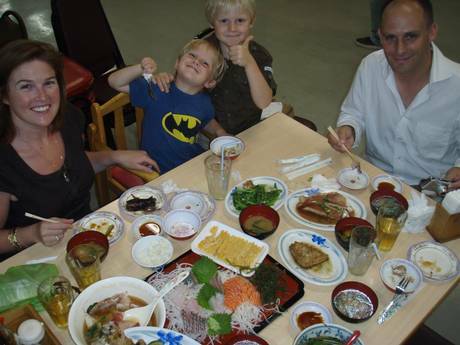 Every time I go to Japan, I have very special dining experiences. The latest was a kaiseki restaurant in Kyoto, called Maeda. Beautiful, clever, simple, complex delicious seasonal food. 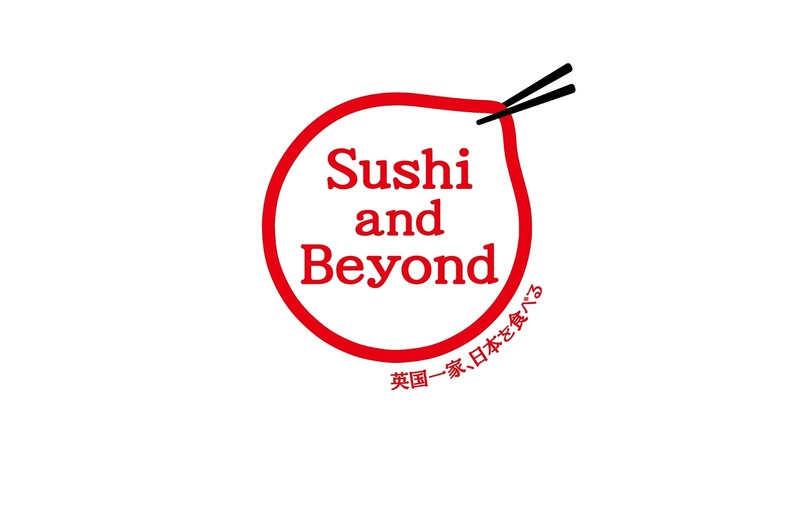 Animated series Sushi and Beyond is on NHK WORLD Sundays at 5:10pm and 9:10pm (BST) click here for more info. NHK WORLD TV is available on Sky, Freesat, Virgin Media, TV Player and the NHK WORLD TV app. For more details click here.